The internet is trending with stories about strange Alien like skulls found in Mexico. Twenty-five skulls were unearthed from an ancient burial site estimated to be from thousands of years ago. Of the twenty-five skulls discovered at this site near the village of Onavas, south of Sonora, thirteen are elongated. Five of the skulls also show signs of dental mutilation. The site is also the first pre-Hispanic cemetery in the state, according to researchers. 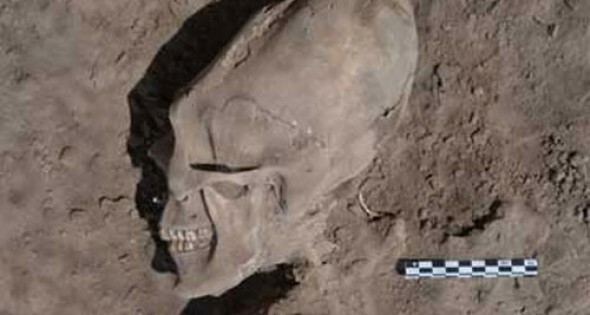 Of course this news brings opinions of many that think these are extraterrestrial skulls, but researchers are stating that it was most likely a ritual and a group of people who took part in the head stretching.